ï½ Insta square pic collage maker post full size photos on Instagram with no crop. ï½ Insta square with blur pip ,patterns backgroundï¼gradient color background, pure color background. 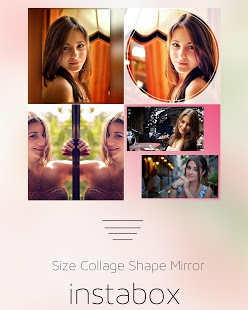 ï½ Insta shape over 40 kinds of designed shapes let you make amazing creative shapes. ï½ collage maker have more than hundred collage layoutsï¼with gradient background color, make record moment amazing and special. ï½ Insta mirror photo & mirror image effect. 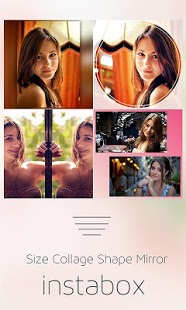 provide 10+ beautiful mirror effect for clone yourself. ï½ Mirror image create left-right, up-down, reflection, repeating as well as reflection style enabled photos with this photo editor app. * photo editor with 30+ amazing filtersãlightãartistãoverlaysãlens on you photo. 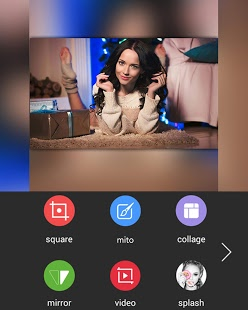 Download Insta square pic collage makernow - Best photo editor app which you can post full sized photos on Instagram with no crop.